Home » Hol Food Review – Everything the Body Needs? Hol Food Review – Everything the Body Needs? That’s a pretty bold claim, but there isn’t your standard “low carb protein shake plus some vitamins” that some companies pass off as a meal replacement. This has a ton of protein, carbs, fat, and fiber, plus it has 29 vitamins and minerals. Most meal replacements, even those considered the best on the market, tap out at 24 or 26 vitamins and minerals but Hol Food really brings a lot to the table, with the site depicting it as a potential means to get all of your day’s protein, vitamins, minerals, fiber, and omega-3. One scoop is 250 calories, though one “serving” is usually described as two scoops, so from here on out we’ll talk about servings rather than scoops. One serving is 500 calories: 30 grams of protein, 68 grams of carbohydrates (10 grams of fiber, 6 grams of sugar), and 12 grams of fat (4 grams of saturated fat). There’s 14 percent of your daily cholesterol intake and 12 percent of your sodium as well. The rest of the micronutrients, as mentioned above, are super diverse. 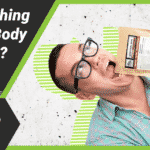 You’re looking at about 25 percent of the recommended daily intake of everything from Vitamin A to zinc, and there are a lot of nutrients that often get left off of other meal replacements like Vitamin K, sulfur, chromium, choline, and chloride. The packet that I received had no information about omega-3 content. 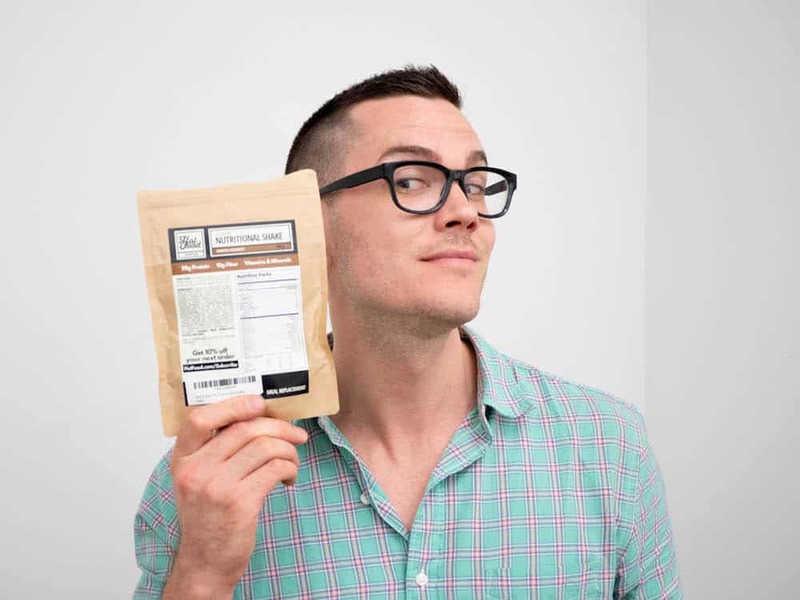 The ingredients are mostly the vitamins and minerals themselves with the rest of the ingredients being pretty minimalist and not totally unlike the ingredients you’ll find in a protein shake. 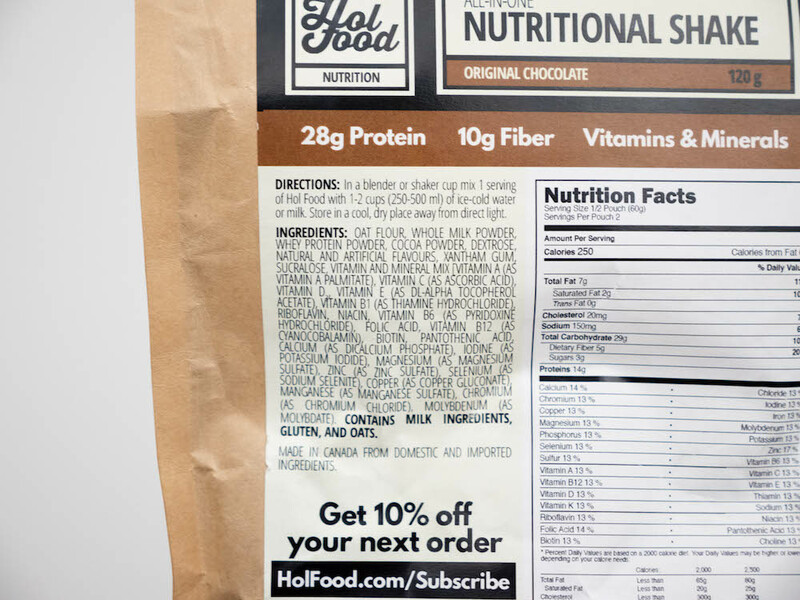 While the first ingredient is oat flour, the rest is whole milk powder, whey protein powder, cocoa powder, dextrose, natural and artificial flavors, xanthan gum (for thickening and stabilizing) and the artificial sweetener sucralose, also called Splenda. There’s a lot to like here. 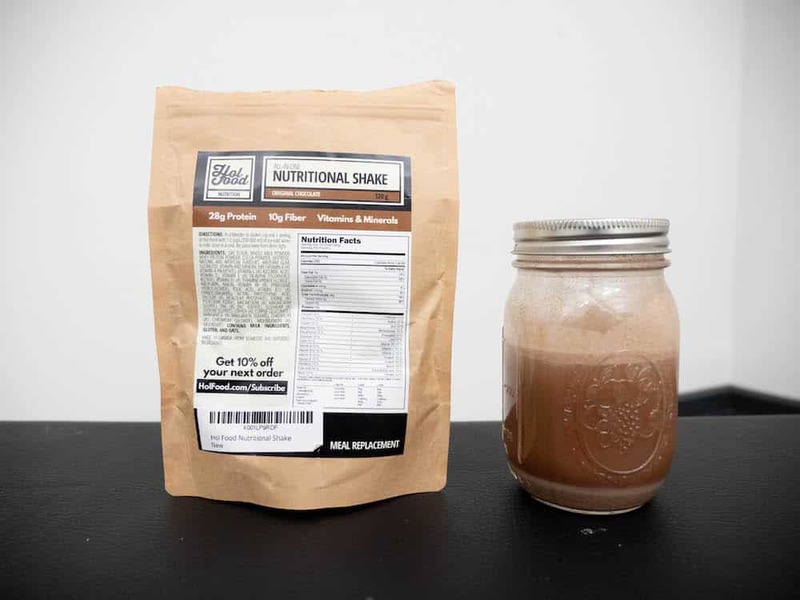 For starters, this is a meal replacement that actually has the calories and macros of a meal: 500 calories with a good amount of protein and carbs and about a tablespoon’s worth of fat. The ten grams of fiber is also fantastic (that’s about 40 percent of the RDI) and I really liked that one serving is two scoops in case you’d rather just have a nutritious snack. The protein is high quality, a combination of oats and dairy from Canadian cows, and the fat seems to mostly come from the whole milk powder. The dairy might be a frustrating ingredient for those on plant-based or Paleo diets (ditto the oats and gluten for Paleo peeps), and I can’t pretend there won’t be some consumers who will be put off by the sucralose. There’s little evidence to suggest sucralose can have deletrious health effects in the quantities you’ll find in Hol Food or your average protein powder, but there are plenty of “all-natural” meal replacements out there if you’d rather avoid it. There’s really not a lot to find fault with here besides those ingredients, but I was a little stymied by the website’s promise that this can give you 100 percent of your Omega-3. There’s no information on the packet about polyunsaturated fats and the ingredients doesn’t contain anything that might provide any, like flax or algae or actual fish oil. You have a few options for pricing, here. You can get a packet of one 500-calorie meal for $10, or you can get a tub of 28 meals for $88.90. That brings the price all the way down to $3.18 per meal, which is a pretty decent price. It’s true that the average meal replacement is closer to $2 or $2.50, but the average meal replacement has a lot fewer calories and micronutrients, so I think the price is solid, plus if you subscribe to regular shipments the cost drops by an additional 10 percent. Chocolate is currently the only flavor available and the upside of artificial sweeteners is that they taste pretty great. Mixed with water, there’s a nice, not-too-sweet chocolatey flavor that has a hint of oat and grain. The cost, nutrition, and taste of this product are all on point, and there’s even a good amount of calories. I can see people taking issue with the sucralose and the fuzziness surrounding the Omega-3s, but by and large this is one of the most impressive meal replacements I’ve seen.